Light rail trains running in the Kenilworth Corridor will have to cross the channel connecting Lake of the Isles with Cedar Lake. A timeout on Southwest Light Rail Transit planning is set to expire not long after a Minneapolis City Council remade by the November election convenes for the first time. Freshmen represent seven of the city’s 13 wards, and in December several of them said they were still bringing themselves up to speed on the long, complex history of the $1.55-billion LRT project. They don’t have much time: A vote on whether or not to endorse the 14.5-mile extension of the Green Line from Minneapolis to Eden Prairie is expected to come before the new council in the first few months of 2014. Had the vote come before the previous City Council, it might have failed. Its members were publicly frustrated with plans to route light rail trains through Minneapolis’ Kenilworth Corridor via two shallow, cut-and-cover tunnels. Andrew Johnson, newly elected in South Minneapolis’ Ward 12, described Southwest LRT as “an incredibly important project” with “a lot of value and benefits” for city. But like others on the council, Johnson wants reassurance from an ongoing study that tunneling near the Chain of Lakes won’t harm a treasured city resource. “(It’s) very, very, very important we are not just confident but more or less guaranteed that we’re not going to do anything that messes up the lakes,” he said. Meanwhile, those who oppose light rail in the Kenilworth Corridor see an opportunity to redirect the debate around the project. Members of the LRT Done Right are reviving old arguments about routing LRT through more-populous Uptown, a message they’re bringing to meetings with new council members. “We do see this as an opportunity, mainly because the new City Council members are talking about this as an issue of equity,” said Courtney Kiernat, a spokesperson for the group. Shallow tunnels were the $160-million solution Metropolitan Council planners hit on last year when faced with St. Louis Park’s refusal to have Kenilworth Corridor’s freight rail line rerouted through their city, despite a promise city leaders made in the 1990s. It was also cheaper than the $200 million in upgrades Twin Cities & Western Railroad demanded for the tracks in St. Louis Park. Outgoing Mayor R.T. Rybak, who represented the city on the project’s Corridor Management Committee, derided that option as a “Cadillac plan” that acquiesced to the railroad. An engineering firm hired by the Met Council to explore other options declared a conflict of interest in the case shortly after arriving in Minnesota in September. Instead of hiring another firm, the Met Council moved on. After a vote to set the project’s scope and budget, plans would be forwarded to cities along the Southwest LRT route for approval. Minneapolis City Council members complained bitterly during an Oct. 1 committee meeting. Without Minneapolis’ official OK — known as municipal consent — the future of a project years in the making would have been in question. If the Met Council forged ahead, the regional policy board would have severely strained its relationship with a key partner. An Oct. 15 meeting in Gov. Mark Dayton’s office at the capitol headed-off those potential outcomes, at least temporarily. After talking with Dayton, Mayor R.T. Rybak and other elected officials who represent Minneapolis, Met Council Chair Susan Haigh agreed to pause the project for 60–90 days. During the break, planners are conducting three studies. One is a deeper dive into all potential rerouting options for freight rail, including some that shift traffic even further west, beyond St. Louis Park. 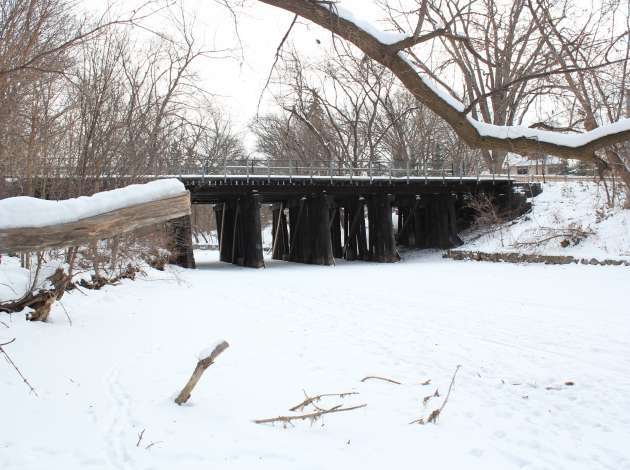 Another examines how the shallow tunnels could impact ground and surface water in the Kenilworth Corridor, which cuts between two links in the city’s Chain of Lakes. The third looks at landscaping options for the corridor; a popular recreational area with a bike and pedestrian trail, it could lose hundreds of trees during tunnel construction. Draft versions of the reports are expected in January, and the delivery of final reports will initiate a series of votes leading Minneapolis’ City Council back to the municipal consent decision. Six of the seven new council members responded to a request for an interview in December. (Multiple phone calls to Ward 9’s Alondra Cano went unreturned.) All six said they supported improvements to the city’s public transportation network, and they held generally positive views of light rail, although several also expressed reservations about the high cost of such projects. Still, Yang called himself a “big supporter of light rail” and said he would weigh the cost of the project against benefits, including access to jobs, when it comes time to cast a vote. Jacob Frey, who unseated Diane Hofstede in Ward 3, said as an attorney he was familiar with the concept of municipal consent, but still needed “to be a briefed a little bit more” about the ramifications of his vote on the question. All said the outcome of the three studies underway would be a key factor in their decisions. 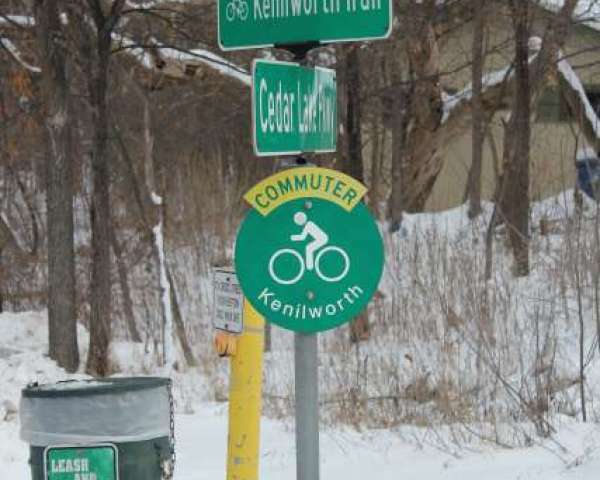 Veteran City Council Member Lisa Goodman, whose Ward 7 includes most of Southwest LRT’s Minneapolis route, remains staunchly opposed to any plan that keeps freight rail in the Kenilworth Corridor while adding light rail, an option known as co-location. In December, Goodman said a canceled project was a better outcome than co-location. Four years earlier, in January 2010, Goodman cast the lone vote against the current Southwest LRT alignment, one that selected the Kenilworth Corridor over alternate routes though Uptown. Today, she would rather reconsider alignment options than accept the shallow tunnel plan. Hodges’ staff didn’t provide an updated statement on Southwest LRT in December, but during that Oct. 1 City Council committee meeting the future mayor suggested she’d be open to reconsidering the options. In 2010, the Kenilworth alignment was assumed to have the lowest construction costs — although city leaders also assumed then that freight rail would move. Southwest LRT planners only recently added the cost of rerouting freight trains to the project’s total budget. The citizens group LRT Done Right argues residential development in Uptown since 2010 only strengthens the case for a route that serves those potential transit users. The arguments against an Uptown route haven’t changed much since 2010. The area is relatively well served by city buses, and routing LRT through dense, fully developed neighborhoods would be challenging and disruptive. Kenilworth corridor was identified back in the ’90s as a future LRT route, while city plans envision streetcars as a future transit option for Uptown. Unlike some other council newbies, Ward 10 Council Member Lisa Bender has followed the LRT debate at least since the vote to approve a Kenilworth alignment in 2010. Bender saw little reason to turn back the clock. After reading “100-plus pages of documents,” Ward 12’s Johnson came to a similar conclusion on LRT in Uptown. “I feel confident ruling that out,” he said. Bender said she “absolutely” supported Southwest LRT, adding her “highest priority” going forward was to protect the Chain of Lakes from environmental harm. She said rerouting freight rail appeared to be a “longshot” at this point, but held out hope for a different outcome. This entry was posted in Southwest LRT on January 3, 2014 by citoyen1789.